It is an honor and a tribute to friendship to be asked to stand-up in a wedding. The role of every bridesmaid is different depending on the perspective of the bride and your relationship. There are some things that remain a constant and require your time, energy, dedication, and thoughtfulness. 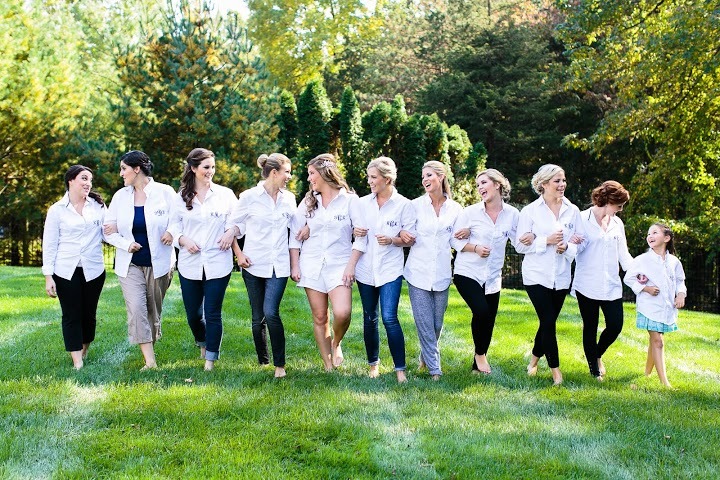 As a member of the bridal party, you can offer your time and talent in ways that contribute greatly to the needs of the Bride and Groom-to-be. It’s the thought that counts and there is a great appreciation for the ‘little things’ that can be done. Little acts of kindness, without anything in return, always make everyone feel good. Here are some thoughtful ideas that are not only fun, but can contribute to the joy and happiness of the special day. Always check with the bride first to see if these ideas might be helpful or she might have something on her mind that she simply doesn’t have time for and could use your help with. Create a wedding playlist of the couple's favorite songs and burn a ‘wedding’ CD. Make enough copies for the bridal party and give them to the new Bride and Groom. They can give it as a ‘thank you’ to the bridal party and have it playing while you get ready and get to and from the ceremony, photos, and reception. Buy inexpensive ballet slippers or flip flops for the bridal party and let the Bride-to-be know the dance floor will be moving ‘all night long’! Prepare for a rainy day. If the weather looks to be inclement, you may think to run out for a supply of inexpensive umbrellas. At least, have one on hand for the Bride and Groom-to-be! Help the Bride-to-be with an itinerary. Share with the wedding party all the important weekend or day-of events. Keep everyone organized...the groom and his groomsmen included. One less worry for the Bride-to-be! Coordinate efforts to donate leftover reception food to a local shelter. The Bride and Groom-to-be may not even think of this. If you are a public speaker who has no qualms or quivers standing up in a crowd, offer your coaching skills to those who will be speech-delivering at the reception. And, it's always nice to offer your creative skills to help write, rehearse, and tell a story. Arrange and coordinate the donation of all of the wedding flowers to a nearby nursing home. What a beautiful gesture!